The Ultimate Z-wave water leak sensor/detector, with temperature and tilt sensor. Get alerted immediately on your smart phone, tablet, or email when there is a leak. Trigger certain lights, activate specific scenes or even sirens to activate if there is a threat. Three 24K plated gold telescoping feat always make sure its making contact even on uneven surfaces and never corrodes. Built for longevity.. 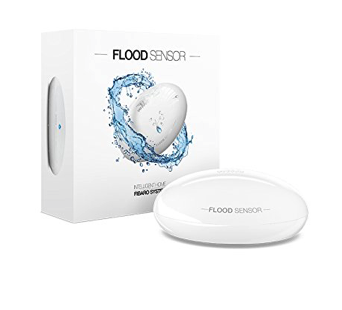 Built in temperature sensor alerts through your smart hub’s app and visually/ audibly at sensor if there is a sudden rise or fall in temperature.